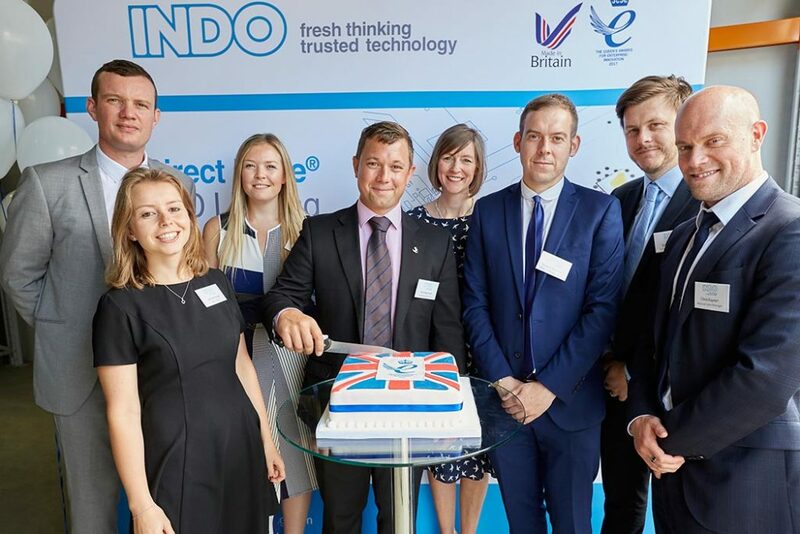 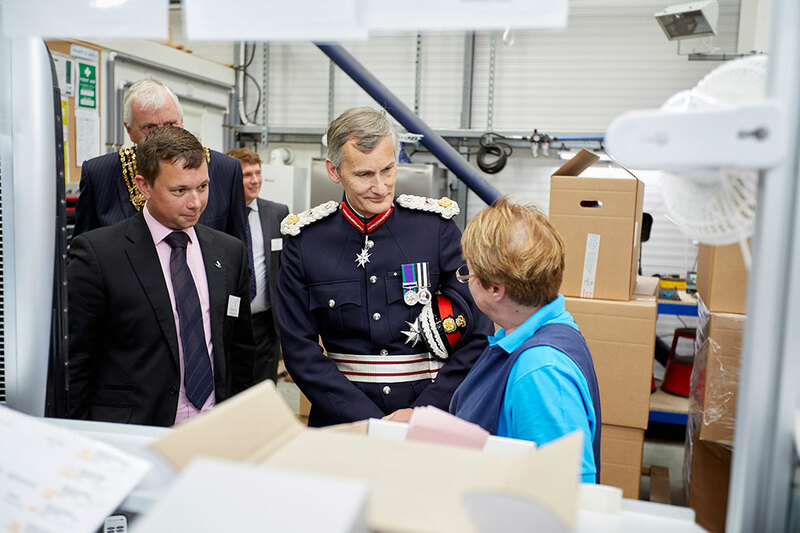 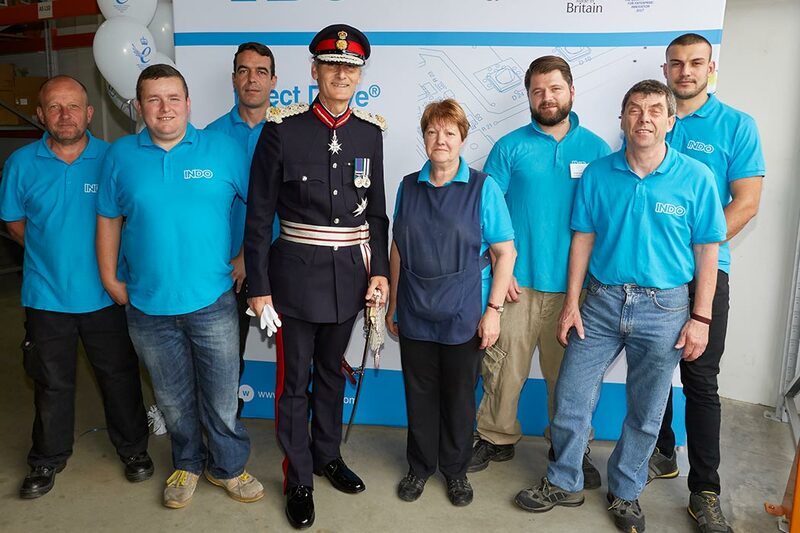 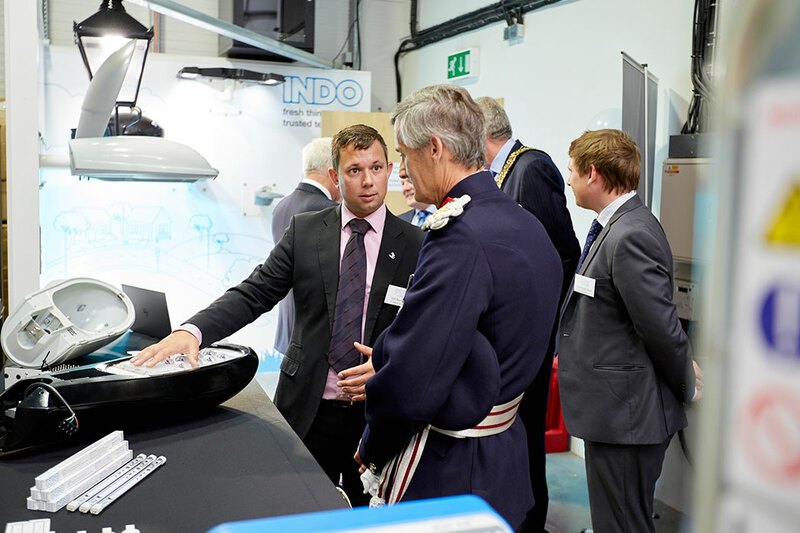 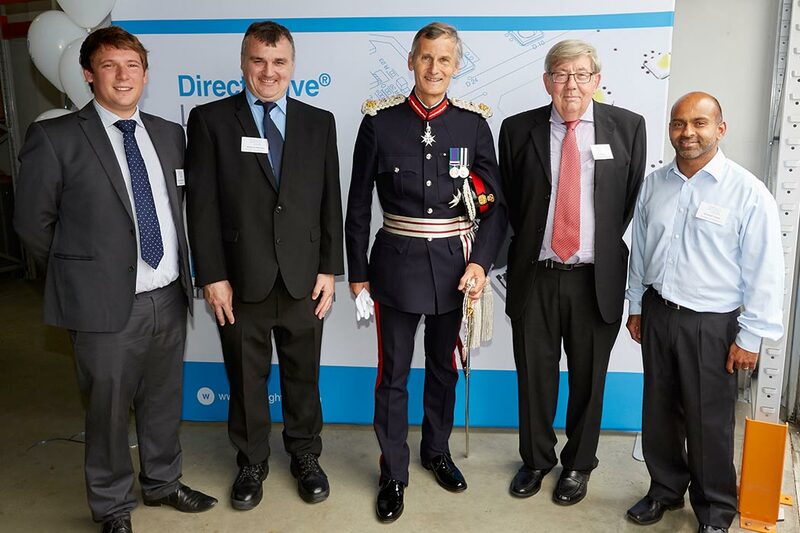 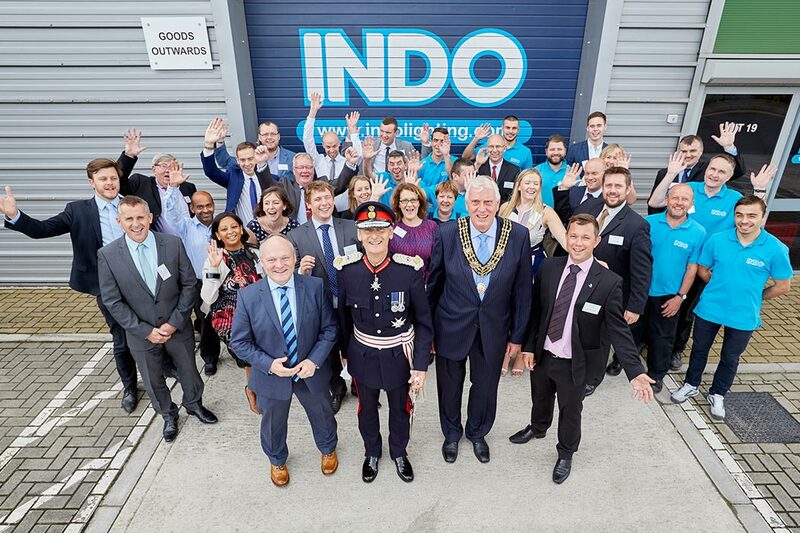 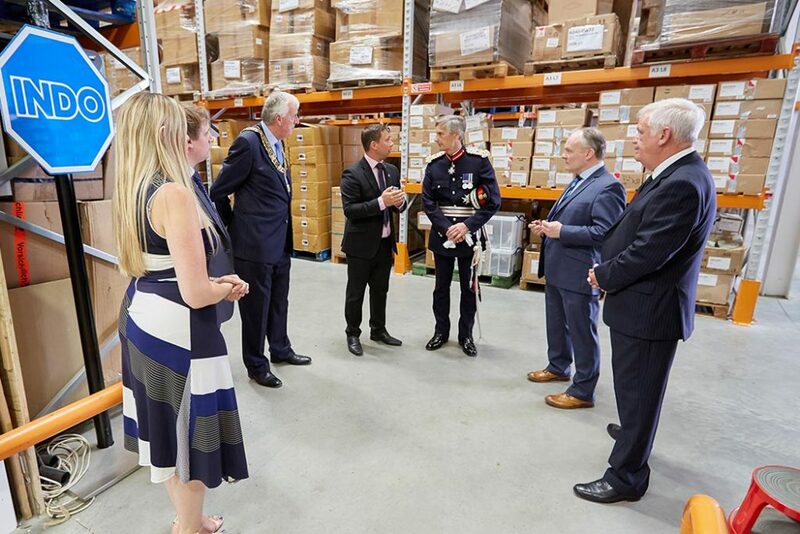 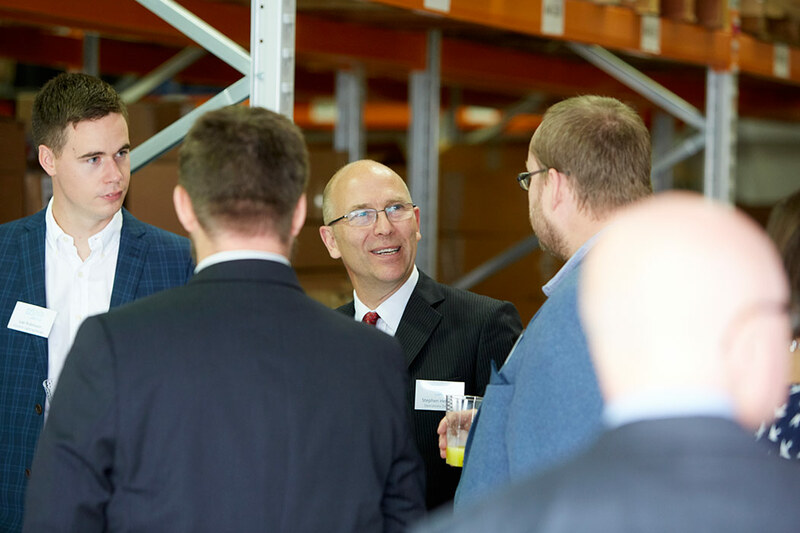 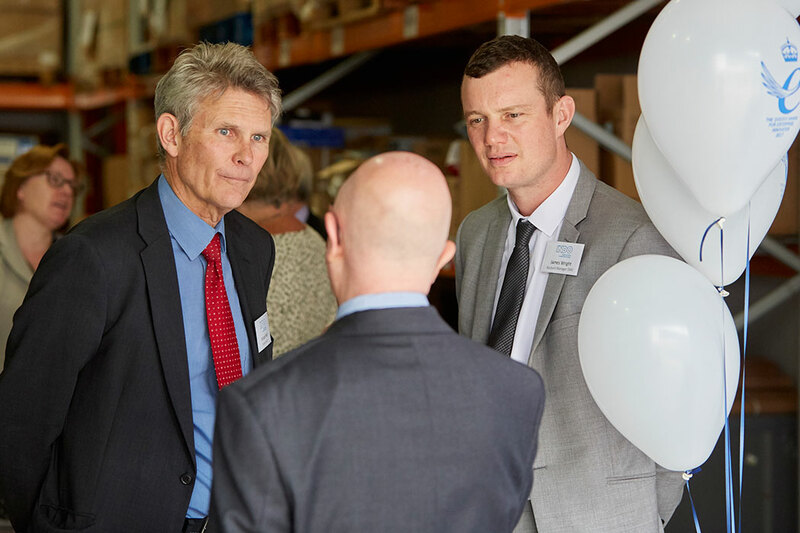 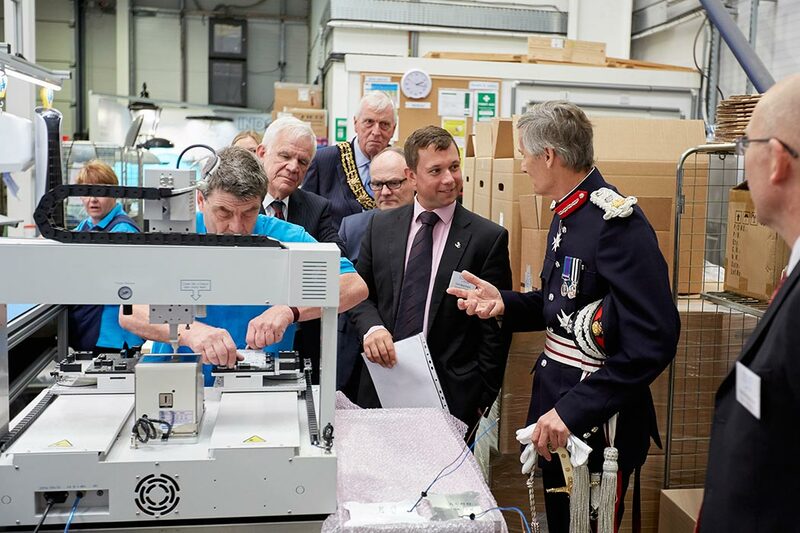 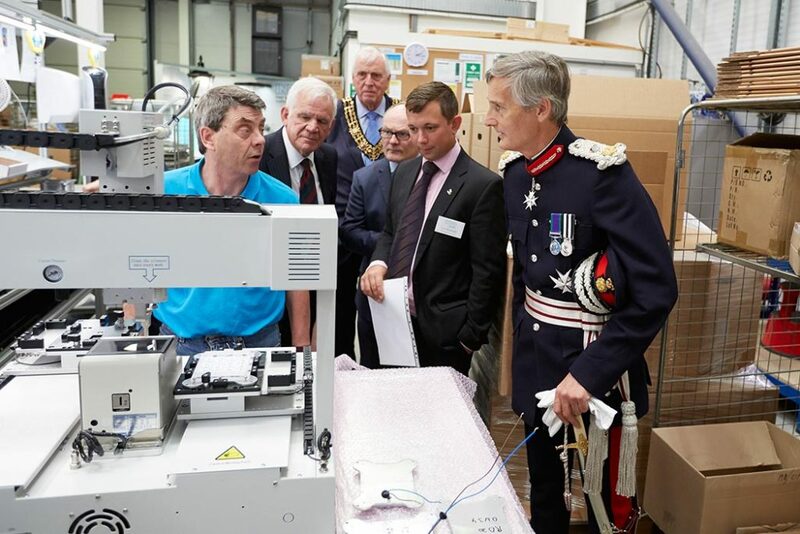 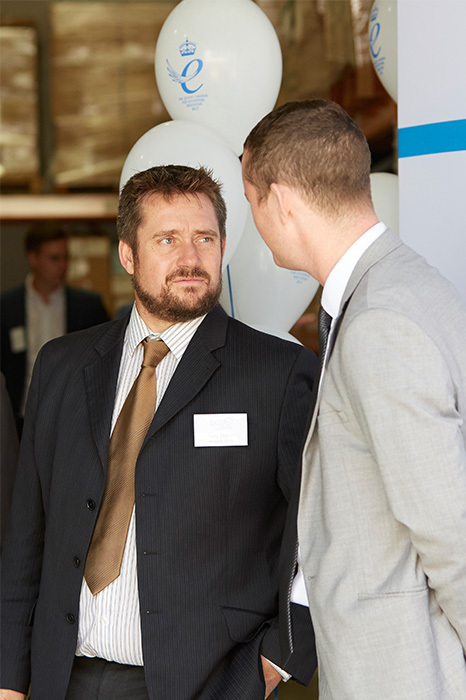 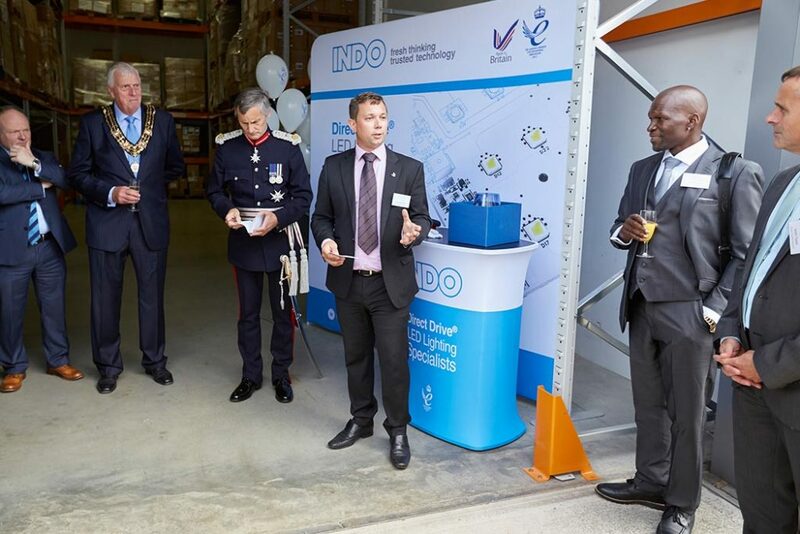 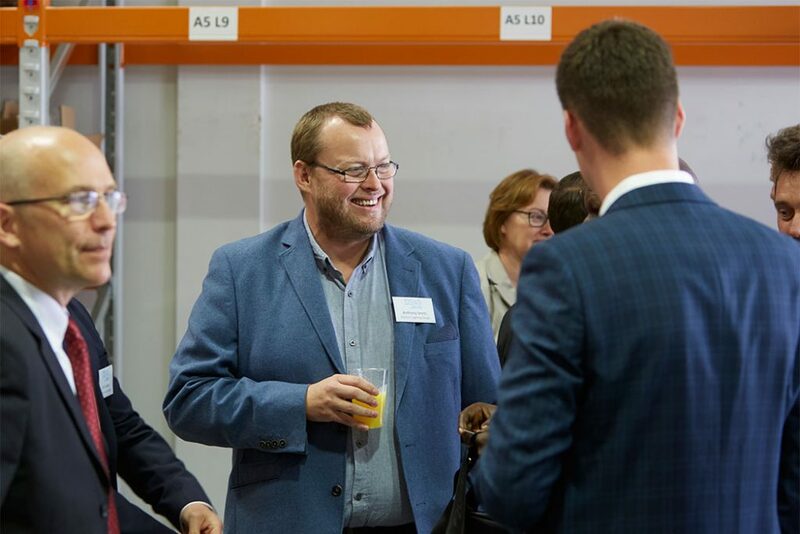 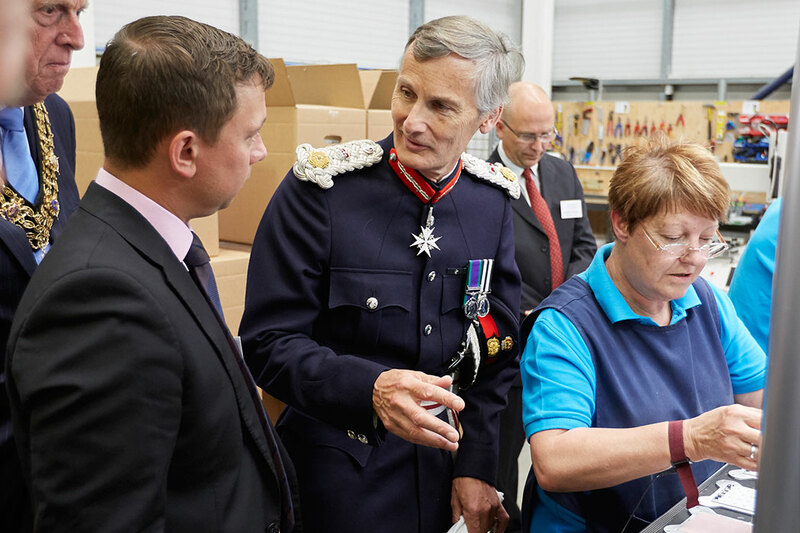 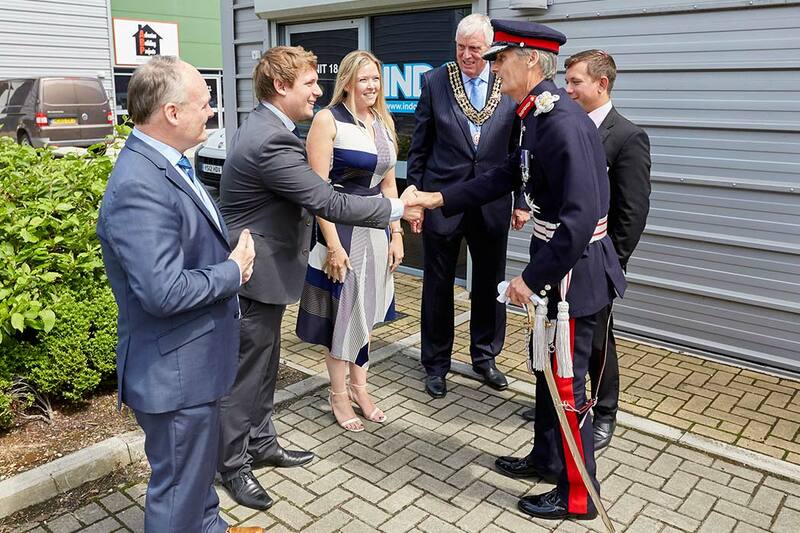 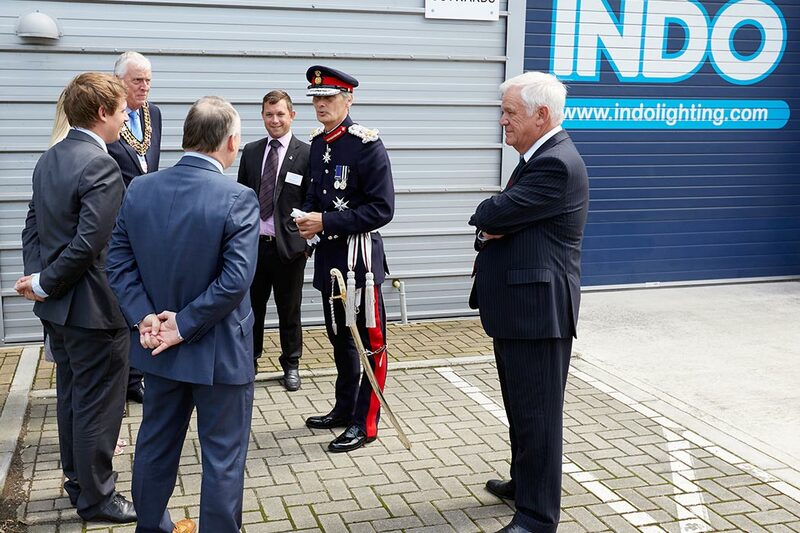 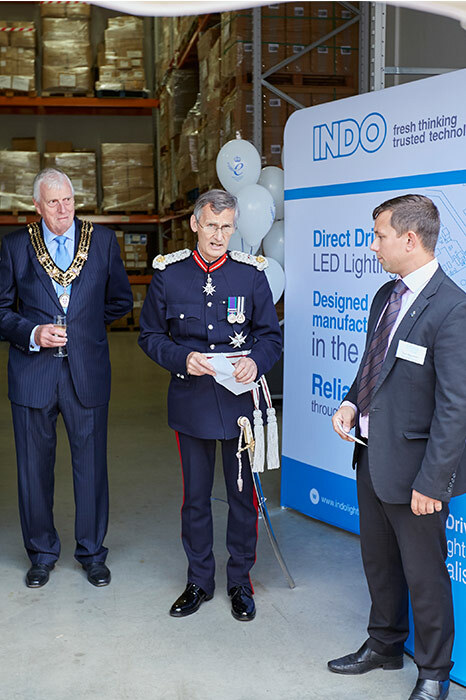 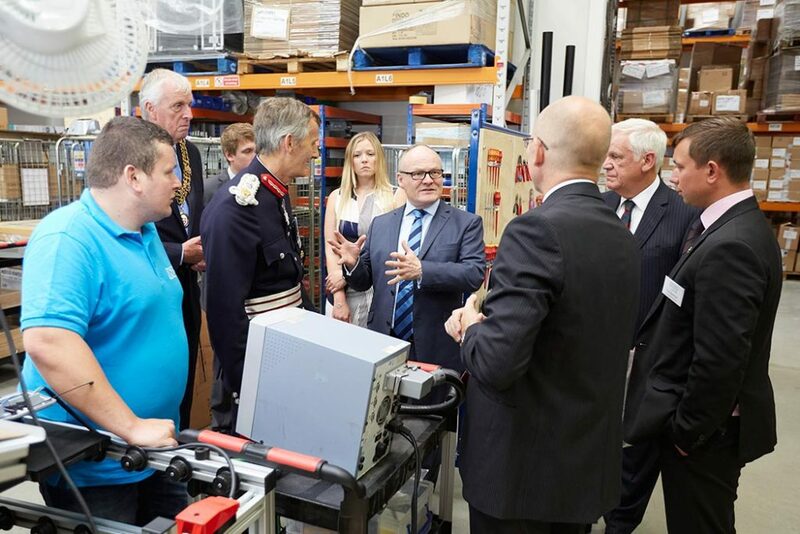 It was another proud day for all staff at INDO’s manufacturing HQ this week as we welcomed local dignitaries, customers and networking partners from across the UK to join us for our official Queen’s Award Presentation Ceremony. 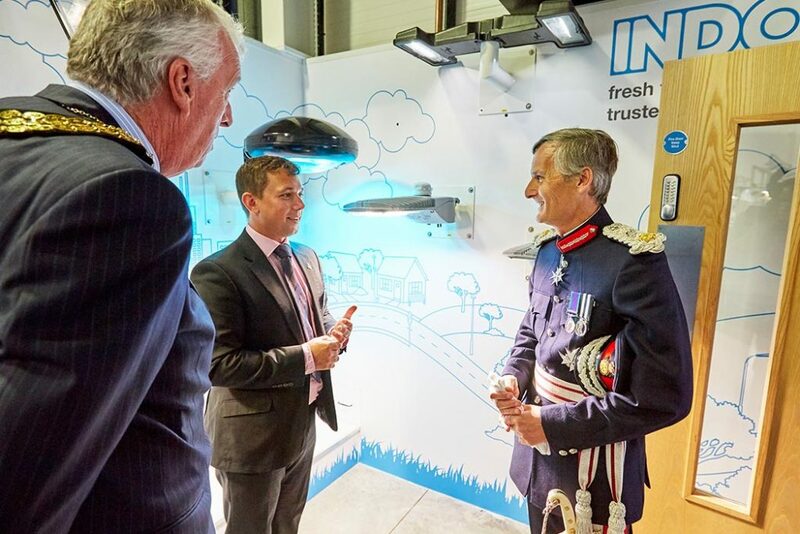 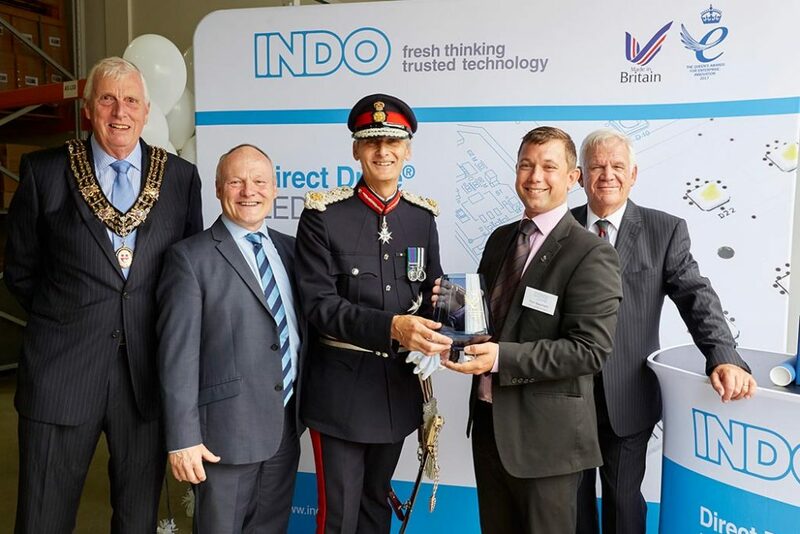 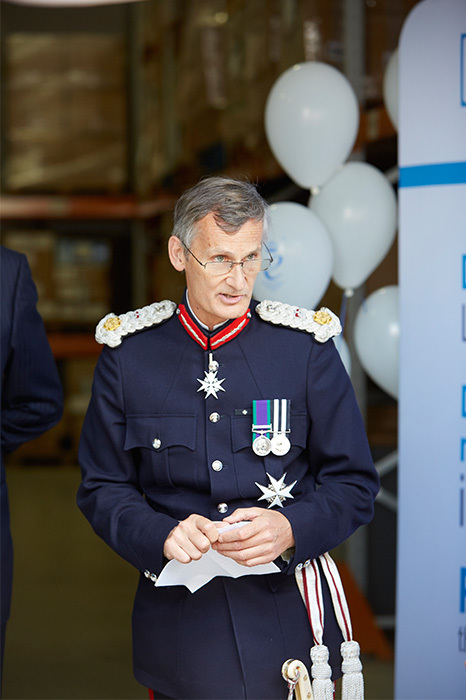 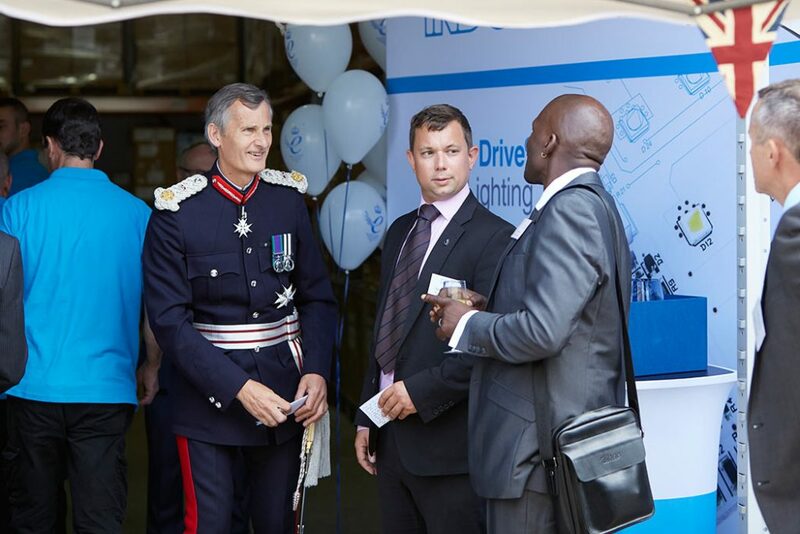 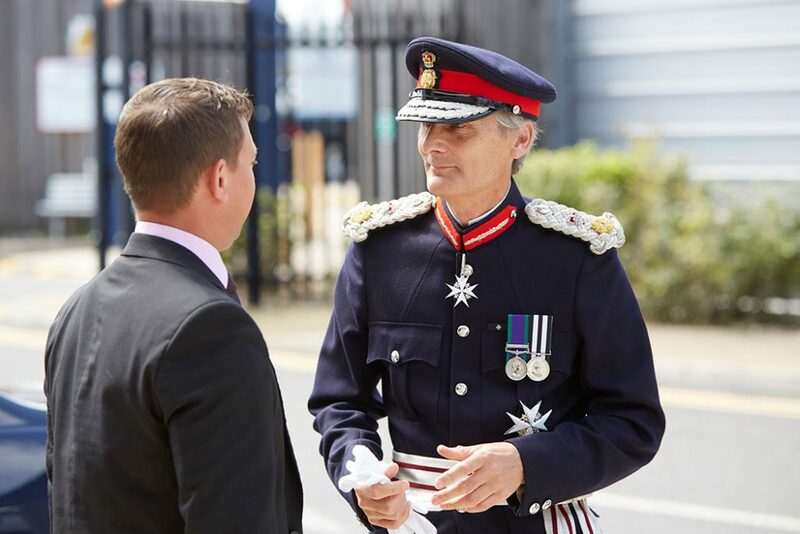 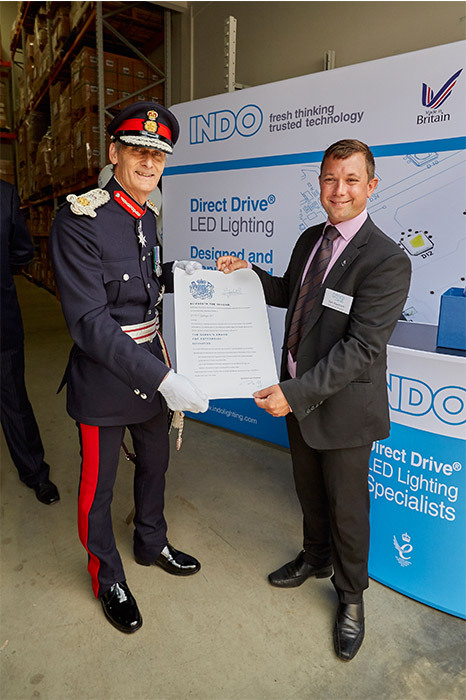 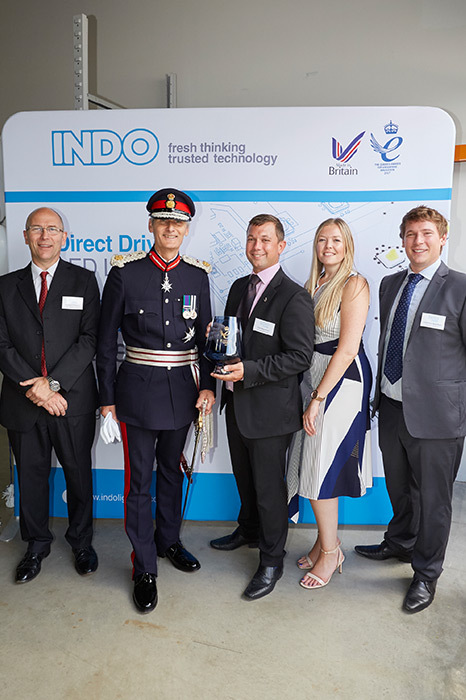 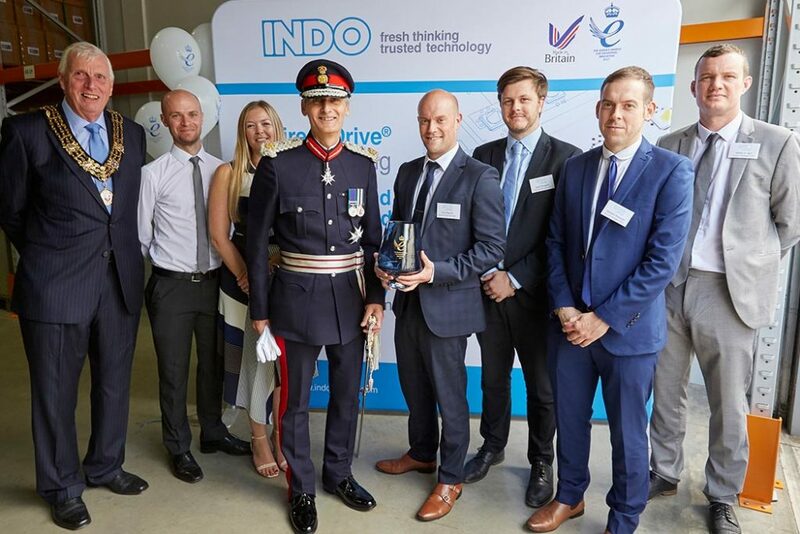 Arriving in full military regalia, the Queen’s personal representative for Hampshire, The Lord-Lieutenant Nigel Atkinson Esq came to present INDO with its award alongside Deputy Lieutenant Mr Andrew Kent Esq. 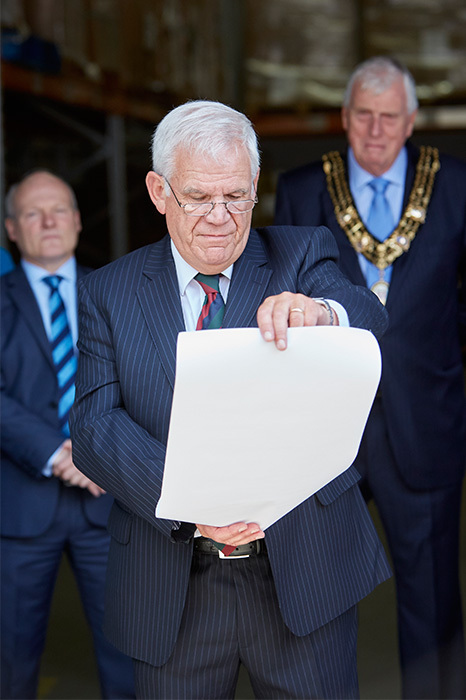 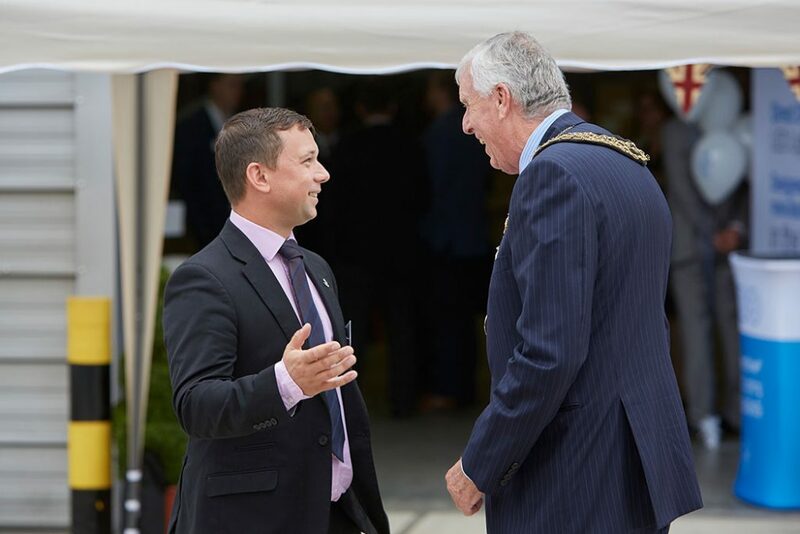 We were also joined by the Right Worshipful, the Mayor of Southampton, MP Royston Smith as well as some of our longest standing professional partners. The Awards have been operating in various forms since 1966, developing over the years into the current format. 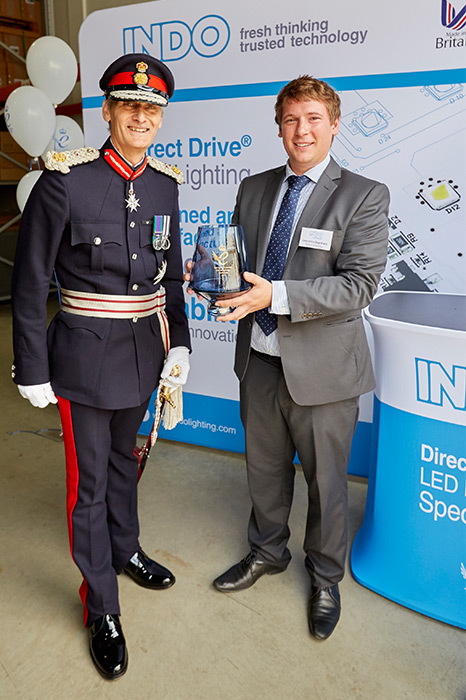 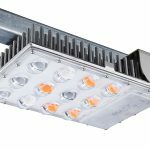 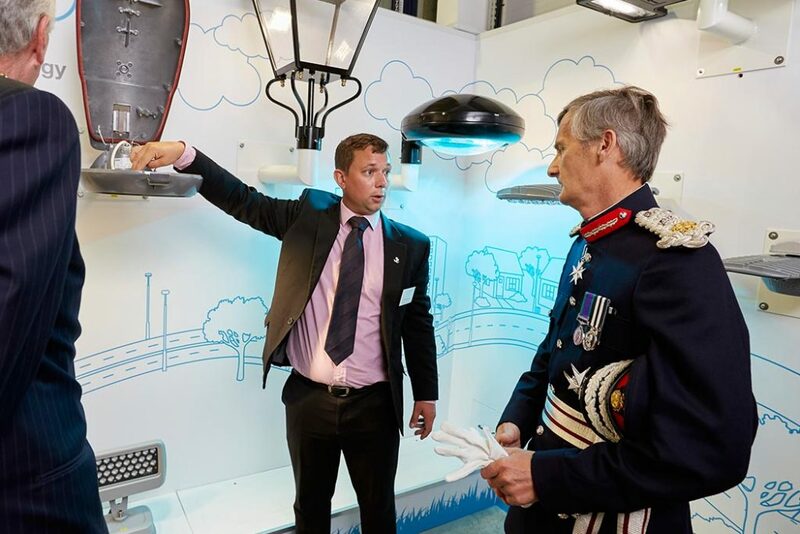 In spring 2017, INDO was delighted to learn that we had been conferred within the innovation category in recognition of our outstanding work developing Direct Drive Technology for the LED street lighting sector and the resulting successful track record over the past five years. 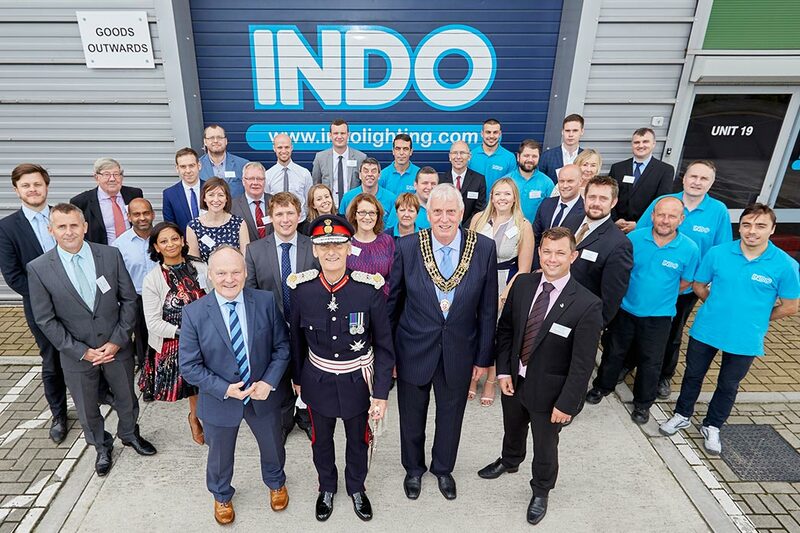 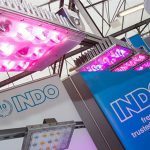 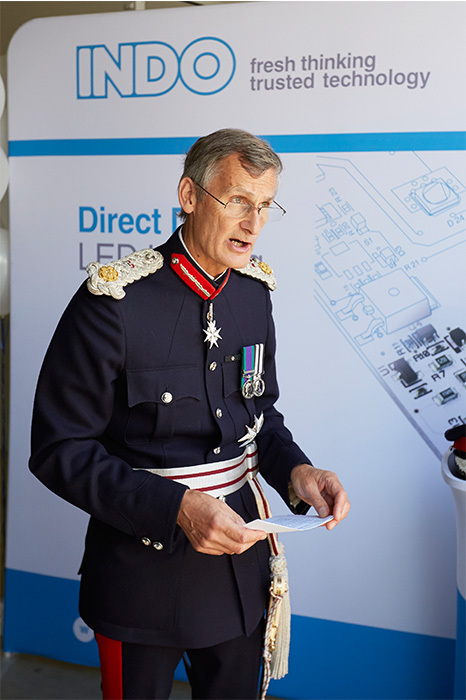 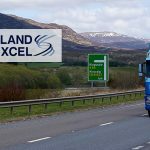 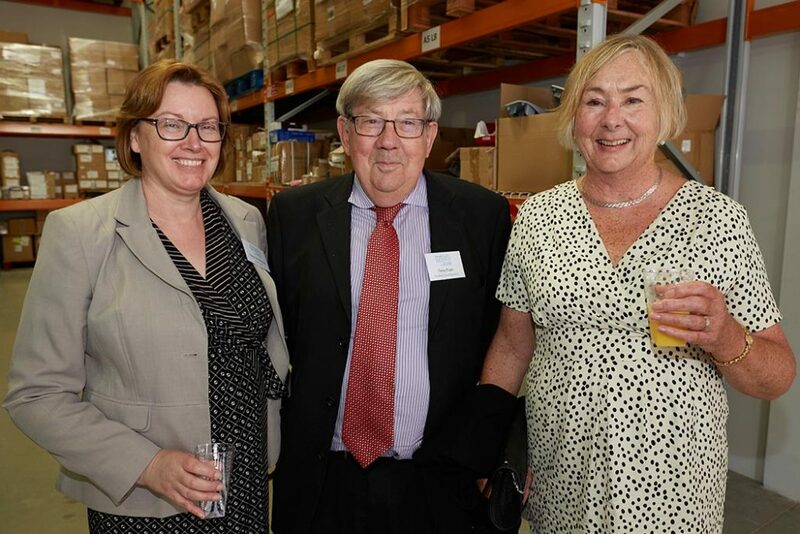 In his speech, the Lord Lieutenant congratulated INDO on its achievements, applauding Tom for having set up the company in 2007 when the economic climate was so bleak and for driving the business since then to achieve the success it now has. The awards are made annually by HM The Queen, and are only given for the highest levels of excellence demonstrated in each category. 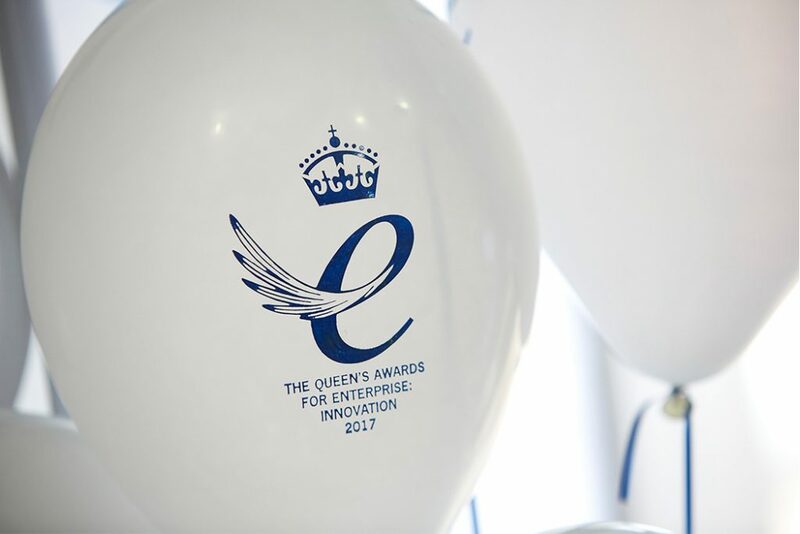 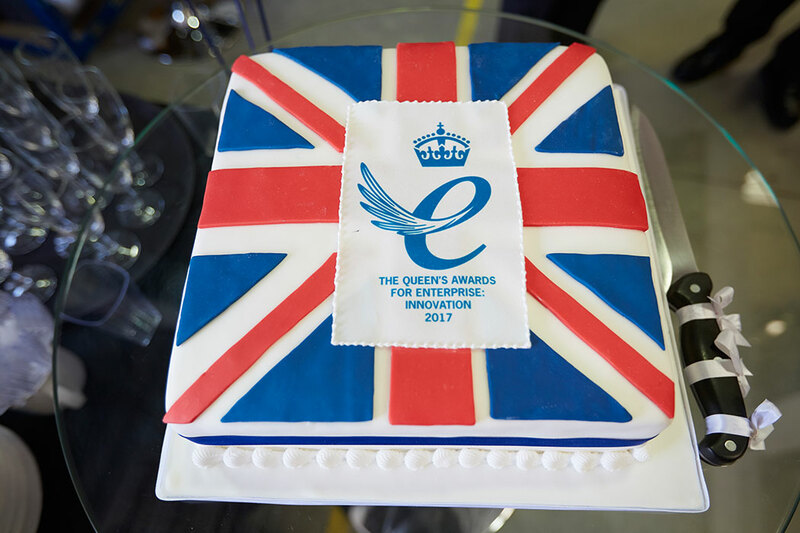 For further information about INDO’s Award success, please contact INDO Marketing Manager, Bryony Light, on 020 3051 1687 or visit the Queen’s Awards website.